If you've made the leap to treat your hearing loss and are on the path to selecting the right hearing aid then congratulations! You have just made it over a hurdle that takes the majority of people living with hearing loss ten years or more! Now you can choose the hearing aid that is right for you. There are a lot of options out there and like with any big investment it’s best to educate yourself and start your search prepared. The first thing you need to understand when you are looking for hearing aids is that they are not “one size fits all.” If you’ve spent any time researching hearing aids or talking to your hearing provider at Audiology Associates of Redding, you know there are hundreds of hearing aid models to choose from. 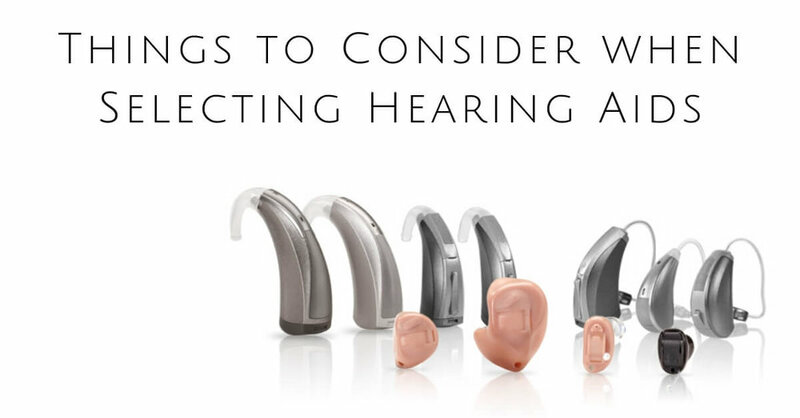 There are so many models, styles, and features (not to mention a huge range of prices), that choosing the right hearing aid for your needs can be very overwhelming. Picking the right hearing aid depends on your specific hearing loss, lifestyle, and the sounds that are most important for you to hear. It’s important to understand that, regardless of the hearing aid manufacturer, hearing aids are available at many different technology levels, but most of them fall into a basic, standard, or premium category. The different levels do not represent the quality of the devices, only the number and types of features available in each model. Typically, as hearing aids are developed, the most advanced features are introduced into premium-level devices first—and they’re the most expensive. However, as newer or more refined features are implemented, the older features trickle down to the standard- and basic-level devices. Everyone hears differently, so it’s important to talk to your provider about a hearing aid that will address your unique needs. Since they know your hearing strengths and weaknesses, they can guide you toward a hearing aid that is the right fit for you. Different people need different features in order to hear optimally. While older hearing aids only had one channel (meaning an entire range of hearing), modern hearing aids have anywhere from about 4 channels up to 24 or more channels available in some premium models. However, this doesn’t mean that everyone has to have the most channels possible. An individual with hearing loss that is the same across all frequencies may do just fine with a basic-level hearing aid that has fewer channels, because they need the same amount of amplification across the entire range of hearing. This is why it’s important to have your hearing tested by a professional before looking for a pair of hearing aids. The results from your test will determine the solution that will bring you the most benefit. Lifestyle plays a big part in the type of hearing aid you might need and the features that will be best for you. An individual who works long hours, spends lots of time on the phone, and needs to be able to understand conversation in large meetings has different needs than the person who spends more time working at home, not needing to converse in a quieter environment. Certain features, like advanced speech enhancement or noise reduction, may make more or less of a difference to you based on the activities you participate in most. It’s best to talk to your provider about which features are more critical for your unique hearing loss, so you can make an informed decision about your hearing health. That way you won’t end up investing in a hearing aid with features you won’t use. Another important factor to consider is the exact sounds you want to hear. For example, it would be easy to assume that someone with only a slight hearing loss, who is generally in very easy listening environments, would do well with a basic-level hearing aid. However, an individual in that same situation who plays guitar, may want a hearing aid with advanced features that provides more clarity, so they can still enjoy a favorite hobby. Overall, there are a number of factors to consider when purchasing a hearing aid, from price to lifestyle to your specific hearing needs. That’s why a provider is so important. At Audiology Associates of Redding, we can give you an exam and help guide you to the hearing aids that are not only right for your ears, but will also fit your lifestyle.